If you primarily fly economy class within the United States, it’s hard to get even 1.5 cents of value per traditional airline mile because domestic economy flights are often cheap. Most miles cards earn 1 mile per dollar, meaning they get economy flyers 1.5 cents of travel per dollar spent–if that. While not all domestic economy flyers are families, many of them are. And families have something else working against them when redeeming miles: It’s tough to book four capacity-controlled award seats on the same flight, and they usually have little date flexibility since they want to travel over school breaks. rewards that can be redeemed for a fixed value towards cash flights. There’s no point subjecting your travels to the fickleness of award space if you’re not getting at least a 2% return as you can earn that any day, on all purchases, for no annual fee with the Citi Double Cash Card. YMMV of course, but if you’re flying economy domestically, it’s unlikely you’re squeezing 2 cents of value out of each mile. But you can do even better than 2% back by utilizing travel cards that earn rewards (at a higher rate) redeemable for a fixed value towards the actual purchase of flights/other travel expenses like hotels. The simple answer for those who don’t want to bother with multiple credit cards or switching out cards to maximize category bonuses is the Citi Double Cash Card. It earns 1% cash back for all purchases immediately, and you’ll get the other percent back when you pay your bill, for a total return of two cents per dollar. 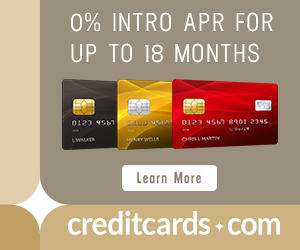 The card has no annual fee, but don’t charge foreign transactions on it or the 3% fee will swamp your return. If you’re game to open multiple cards for sign up bonuses and maximizing category bonuses, then keep reading. If not, open a Citi Double Cash Card and call it a day. These are the cards to open and keep open. These are the cards to open for the sign up bonuses. *Could be worth keeping open longterm, depending on the type of business spend you have. Below I’ll explain the reasoning behind those lists. Make sure you read Issuing Banks Rules for Approvals and New Bonuses before applying for any of the cards above to make sure you are eligible. If you’re new to miles and points and that/this post overwhelms you, but you’re ready to jump in the game, I give free credit card consultations for people like you and am happy to get you going in the right direction. The Chase Sapphire Reserve is the key to earning a higher return from all the other recommended Chase cards in this post. Ultimate Rewards either earned by the Sapphire Reserve or transferred into a Sapphire Reserve account can be redeemed for 1.5 cents each through the Chase travel portal (on cash flights or hotel rooms). Of course, they can also be transferred to Ultimate Rewards airline and hotel loyalty program partners, which is what I am typically a proponent of doing over redeeming through the Chase travel portal. That’s how you get outsized value, when the ticket is expensive and the mileage price is not set on the cash price but either an award chart determined by regions or the distance flown. But that’s beyond the scope of this post. In this post, we are assuming it costs less points to redeem Ultimate Rewards for 1.5 cents on cash flights through the Chase travel portal then it would to transfer to an airline loyalty program–turning the points into miles–and redeem for an award. Therefore any sign up bonus valuations of Chase cards below are based on a 1.5 cent per Ultimate Reward point value. Put just your travel and dining purchases on this card longterm. You’ll do better spending in other categories with cards listed below. Travel and dining purchases will earn 3 Ultimate Rewards per dollar spent, which is a 4.5% return when redeeming through the Chase travel portal. The Sapphire Reserve has a $450 annual fee. But if you’re reading this blog it is highly likely you already spend $300 on travel purchases each year, which effectively lowers the annual fee to $150 as it comes with $300 in travel statement credits per cardmember year (for everything from flights to Airbnbs to parking). The remaining $150 annual fee is well justified by the travel and dining category bonus, Priority Pass Select Membership (lounge access), the TSA PreCheck/Global Entry fee statement credit, and the sign up bonus which is worth at least $750 in travel. Purchases made with the Chase Ink Business Cash card at office supply stores and internet, cable and phone services will earn 5 Ultimate Rewards per dollar, equivalent to a 5% cash back if you redeem them straight out of your Ink Business Cash account. But if you have that Sapphire Reserve, you can move the Ultimate Rewards earned by your Ink Business Cash to the Reserve account and they become redeemable through the Chase travel portal for 1.5 cents each, bringing your return up to 7.5%. That’s an amazing return for a card with no annual fee. It does charge foreign transaction fees however, so divert those purchases to your Reserve. The sign up bonus on this card is also very impressive for a no annual fee card: $750 in free travel. The Freedom Card’s schtick is much like the Ink Business Cash, in that the Ultimate Rewards it earns are worth 1 cent cash back on their own. But move them to a Sapphire Reserve account and they turn into that kind of Ultimate Reward. You will earn 5 Ultimate Rewards per dollar spent on various categories throughout the year, on a max of $1,500 purchases per quarter. That’s 7,500 Ultimate Rewards per quarter, or $112.50 in free travel per quarter if you maxed out the category bonus and moved the points to your Sapphire Reserve account. The Freedom has no annual fee, but does charge foreign transaction fees. 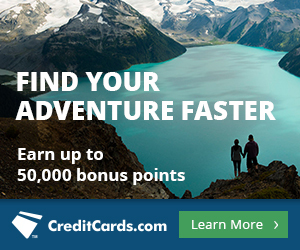 Its sign up bonus is worth $225 in free travel, but that’s not why you should get this card. The Freedom Unlimited is just like the Freedom and Ink Business Cash in regards to the value of the Ultimate Rewards it earns, and how that value changes by moving them to your Sapphire Reserve account. It earns a simple 1.5 Ultimate Rewards per dollar spent on everything. That’s a 2.25% return on everyday spending if moved to the Sapphire Reserve (1.5 x .015), which is why I recommend the Sapphire Reserve + Freedom Unlimited combo for non-bonused spend instead of the Citi Double Cash Card for its 2% return on everything. This card has no annual fee, does collect foreign transaction fees, and comes with a bonus worth $225 in free travel. The Freedom Unlimited is crucial to this strategy, as it elevates your return on everyday spending from 1.5% (if you just have the Reserve) to 2.25%. 1.5% is not competitive. 2.25% wins the competition. If you take nothing else from this post, take this: Reserve + Freedom Unlimited is the duo for domestic economy travelers. The word on the virtual street back in April was that Chase might be changing the Ultimate Rewards program to block us from advantageous transfers between an account that earns less valuable Ultimate Rewards (i.e. the Freedom, Freedom Unlimited, Ink Business Cash, or Ink Business Unlimited) to an account that earns more valuable Ultimate Rewards (like the Sapphire Reserve). Nothing has developed since then, but if you decide to follow the reward earning strategy outlined in this post, it doesn’t hurt to move your points from the less valuable Ultimate Rewards account to your Reserve account after your statement closes each month, just in case. American Airlines economy on the 787 MAX 8, perhaps an economy you may wish to skip with way more seats and less bathrooms than most. Photo by airbus777. Get these cards for their sign up bonuses over time. The cards below have lucrative sign up bonuses in the context of domestic economy travel, but I probably wouldn’t spend on the majority of them past earning the bonus as they don’t offer an interesting enough return compared to the cards detailed above. Of course, bonus offers change all the time, so if you decide to open one of these cards at a later date make sure you double check that it’s worth it. Along with the spend it takes to unlock the 60k Arrival “miles” bonus, you’ll earn $660 worth of free travel. It earns 2 Arrival miles per dollar spent, representing a 2% return as each Arrival mile is worth 1 cent each. Technically the return is a tiny bit higher than that, with a 5% rebate of miles each time you redeem, but it’s still lower than the 2.25% you get on everyday spending with the Reserve + Freedom Unlimited combo. Not to mention you have to redeem Arrival miles in chunks of 10k, which is annoying, and it’s got an annual fee of $89. 60k Arrival miles is the highest I’ve ever seen the bonus on this card, though, so now is a good time to snipe it if you’re eligible. Along with the spend it takes to unlock the 50k Venture “miles” bonus, you’ll earn at least $560 worth of free travel. Like the Arrival Plus, it earns 2 “miles” per dollar spent, equal to a 2% return on everyday spend as each is worth 1 cent towards travel purchases. This may be worth keeping open past the first year if you book lots of hotels on hotels.com, as they’ll earn 10 Venture miles per dollar spent. The card has no annual fee the first year, and $95 thereafter. Along with the spend it takes to unlock the 50k point bonus, you’ll earn at least $545 worth of free travel. Its points are worth 1 cent each, and the card earns 2 points per dollar spent on travel and dining purchases and 1.5 points per dollar on everything else. That’s somewhere between a 1.5 and 2% return on all spending…definitely not worth keeping open long term with a $95 annual fee. Along with the spend it takes to unlock the 80k Ultimate Reward bonus, you’ll earn at least $1,275 worth of free travel if you transfer those points to the Sapphire Reserve. If you are eligible to open business cards, I would make this one a top priority as it has by far the biggest bonus out of any of those in this get for the bonus list. While you hold the Ink Business Preferred, you may as well maximize its category bonuses that are better than the longterm holders described above: Shipping purchases and advertising purchases with social media sites and search engines will earn 3 Ultimate Rewards per dollar, equivalent to a 4.5% return if transferred to the Sapphire Reserve. If your business has a lot of spend in these categories, then it could be worth keeping this card open despite the $95 annual fee. Along with the spend it takes to unlock the 50k Ultimate Reward bonus, you’ll earn at least $795 worth of free travel if you transfer those points to the Sapphire Reserve. This is the business version of the Freedom Unlimited, so it has the same earning structure of 1.5 Ultimate Rewards per dollar spent. I put this card in this get for the bonus list simply because more people are eligible for consumer cards than business cards, but of course, it could easily replace or exist in addition to the Freedom Unlimited in your longterm hold lineup as it has the exact same longterm value proposition as the Freedom Unlimited when paired with the Reserve: 2.25% return on everyday (business) spending and no annual fee. Along with the spend it takes to unlock the 50k Spark “miles” bonus, you’ll earn $590 worth of free travel. Each “mile” is worth 1 cent towards travel, and you’ll earn 2 miles per dollar spent on everything. Its $95 annual fee is waived the first year. Not much else interesting to report or make it worth keeping open past the first year. If you live in a city served by Southwest and travel often to places served by Southwest, then securing a Companion Pass could be a good route for you. If you travel within the United States in economy more often than not, and especially if you have very little to no flexibility on travel dates due to school schedules that push you to travel during peak seasons, I recommend you focus on earning rewards that can be redeemed for a fixed value on cash flights. Earning traditional miles is going to prove inhibitive in more ways than one. Southwest for redemption on Southwest. Check out How to Maximize Domestic Award Redemptions: Ultimate Rewards for ideas. Then again, some people want simplicity, which is 100% understandable. The Citi Double Cash Card is the answer for those people. I imagine that’s not the majority of you regular readers, but you can tell your friends and family that can’t be bothered that the Citi Double Cash Card is an easy way to get 2% back on all their spending. Another possibility for Southwest fliers: You can use US Bank Mobile Redemption to easily and conveniently pay for flights. The other programs are cumbersome because you can’t redeem for Southwest online – you need to call in, and if you don’t know exactly what to tell the agent you may end up with a ticket that cannot be changed online (most importantly, use just your first and last name – not your middle name). Even though I already have CSR, I’m planning to apply for US Bank Altitude Reserve, earn 3x points on mobile purchases (such as grocery stores), and use Mobile Redemption for WN flights and Uber/Lyft. The new Wells Fargo Propel earns 3x points on airline tickets that can be redeemed for $.01 each in $100 increments. Thanks for pointing that out, I meant to link to a different post with updated info. Corrected. So the question is, which of the no fee cards next? I have the CSR and currently sit at 4/24. BTW, I just upgraded from Hilton ascend to aspire with no credit pull. AMEX approved me immediately and sent me a new card with the same number. Can you maximize the rotating categories on the Freedom for the full 7,500 URs per quarter? If so, then go for the Freedom. If you max out the spending for a year in bonus categories, you’d earn 30,000 Ultimate Rewards on your Freedom for $6,000 in spending. The same spending on the Freedom Unlimited would earn 9,000 Ultimate Rewards. Well, the wife would max out the grocery stores for sure! I might give it a shot. Although, I’ve entered the burning phase rather than earning. I’ve got more than a million points piled up in various programs due to much business travel. There is pretty much always a way to “extend the life of a category” by buying a gift card. If you find you haven’t met the max by the end of the quarter, you could always do that. But be honest with yourself and if you’re not going to bother, then go with the Freedom Unlimited. That requires no effort whatsoever and is a great put everything on it card, which may be more suited to you if you’re not focused on earning right now. I guess I’m always earning because I pay my health insurance every month and at the end of the year I have a bunch of timeshare maintenance fees to pay so it’s easy meeting the spend on the various cards. Well, for frequent flyers in economy, the airline affiliated cards also offer some value in that they offer a free checked bag, priority boarding, and the ability to bring aboard a carry on bag when purchasing a restrictive basic economy ticket. Yes, good point. I still don’t think that fact would change my strategy however. I fit in this category to a “T” being a family of 5 (three kids 14, 11 and 7) and I will tell you what cards I love and how I justify them. 1) Citi Prestige! Hands down my fav! After the rebate it doesn’t cost us much. This is my goto card for priority plus. Gets my entire family in there. Also free global entry! And the TKO reason… Free 4th nights!! I use that perk all the dam time. Still earn points at the hotel, hotel offers stack, you can use status for hotel perks. I now only book suites which I find are priced inline vs 2 smaller rooms once you factor in the free 4th night. Many times a suite offers you club status = free breakfast! And the golden egg with this card perk.. book an all-inclusive. The last 3 big fam vacations we did this. Citi paid for that day’s room, drinks and food. Amazing perk. And you can use their points to convert or buy tickets w/ no black out fees. 2) Amex Bus Plat: love the gold status at Marriott/Ritz/SPG and Hilton. Free b’fast for two, early and late check in/out and upgrades have been some of the perks with this. Account for the airline credit and it’s also easy to justify this card. Global entry and priority plus. It originally offered 50% points back when booking travel on their site… now it’s 30%? (something like that). I will have to reconsider this card due to the gold status change now. 4) Chase Ink Pref: the main reason I got this is for the cell phone insurance it offers. Also 3x pts on cell, cable bills. And the Business Platinum’s rebate is 35% now instead of the prior 50%. Sarah, I travel mostly from CHS or SAV and find those two cities are very expensive to travel from. As a feeder airport, it has become much harder to get those non-stops somewhere other than CLT or ATL. I do sometimes find nonstops on UA and AA. I then look to British A. and Avianca for those trips at 7500 points. I think both of these airlines are overlooked for their ability to put you on AA and UA respectively for much lower points. We use the Arrival Plus to typically pay for those items just over $100. A much overlooked card is the Uber card. It is paying our Netflix bill and gives us $600 of cell bill insurance, plus we use Uber alot in bigger cities. My biggest problem is VISA not working with Plastiq. The advice in this post is generalized so will not apply to everyone, of course. And yes, flights from smaller airports would fall in the more expensive category and therefore merit using miles for. If you have access to Iberia Avios, you should give those a shot as well, for multi-segment AA flights. They price on the total distance flown instead of per segment like BA Avios awards flying AA, which could make them very useful for you. Well, Southwest in general may be good for you, because they have no FF capacity control and a fixed value per point. Plus they’re excellent about changing itineraries — no fees.